HONOLULU – Gov. 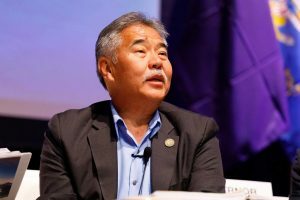 David Ige was elected vice chairman of the Western Governors’ Association (WGA) at its annual conference in Whitefish, Montana. He will serve with South Dakota Governor Dennis Daugaard, who is the incoming WGA chairman. In his role as vice chair, Gov. 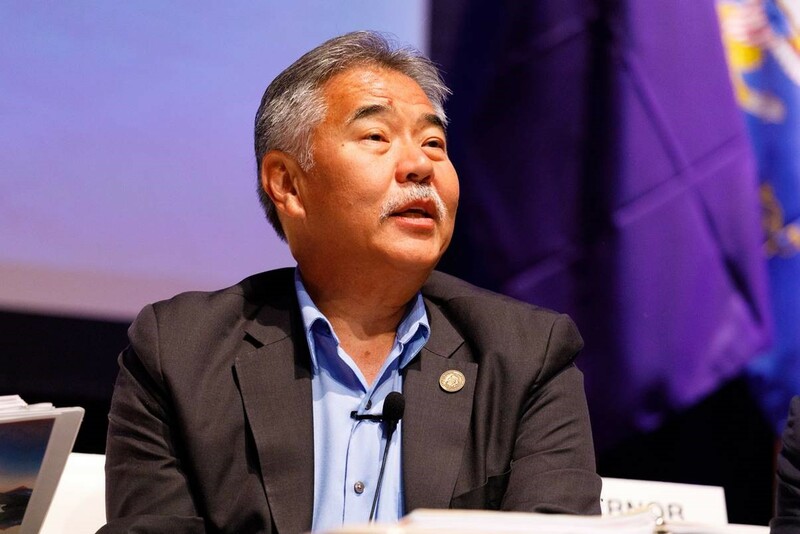 Ige will serve as chairman of WGA’s policy committee. The governor will serve for one year before becoming chair of the WGA next year, by a vote of the Western Governors. Former Hawai‘i Governors George Ariyoshi and Ben Cayetano previously served as WGA chairmen. The Western Governors’ Association was established in 1984 to represent the governors of 19 western states and three U.S. flag islands – American Samoa, Guam and the Northern Mariana Islands. The association is an instrument of the governors for bipartisan policy development, information exchange and collective action on issues of critical importance to the Western United States. **Photo attached: Gov. Ige speaking about his new role as vice chair of the WGA.